MPs have said the expansion of England's education inspectorate Ofsted may have made it "unfit for purpose". Ofsted's remit increased from April to include councils, children's homes, adult learning and fostering agencies. In a report, MPs on the education and skills committee said they were "concerned at the increasing complexity of this large bureaucracy". Ofsted says it is confident it can continue to make a difference. 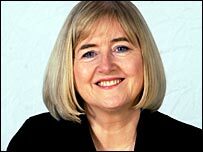 Committee chairman Barry Sheerman said: "The new Ofsted has been operating only since April 2007. "We will be interested to see what will be achieved in the first 12 months and what value has been added by the changes. "However, we cannot disguise our concern as to the fitness for purpose of the organisation at the present moment." Ofsted became the Office for Standards in Education, Children's Services and Skills in April. It took on the new responsibilities on top of the existing ones of inspecting child-care providers, maintained schools, some independent schools (those not in associations), further education colleges and services for children and young people. The MPs said they welcomed the potential for the new Ofsted to take a more comprehensive and strategic view of the issues affecting children, young people and adult learners. "But we are concerned about the complex set of objectives and sectors that Ofsted now spans and its capacity to fulfil its core mission", the committee added. A spokesperson for Ofsted said: "The new Ofsted has a clear responsibility to safeguard the interests of all children, learners and employers who use the services we inspect. "We are confident that, during our first year of operation, we will continue to realise the benefits of being a large organisation, without losing the distinctive expertise and understanding that enables us to make a difference in diverse settings, from nurseries to academies and from prisons to employers' premises." The MPs also highlighted areas of concern in the schools inspection system. On the new "lighter-touch" inspections, which last two days or so, they said checks should be made to ensure the system was still rigorous, with the ability to identify coasting schools or those which begin to drift. They also called for checks on what are known as "self-evaluations" submitted by schools - where they describe their own strengths and weaknesses - to make sure they are accurate. The MPs reported that some of the new sectors being inspected by Ofsted had been used to an inspection service which also worked on improvement. The report concluded that Ofsted should clearly communicate to all service users what it does and does not do. Mr Sheerman said: "It still appears that Ofsted has no capacity to give advice when a cluster of local schools suffer from systemic underperformance. "This continues to be a weakness in the inspection system." The MPs highlighted unhappiness among schools about interpretations of the grading system which classes schools as either outstanding, good, satisfactory or inadequate. Two successive chief inspectors of schools in England had said that "satisfactory" was not good enough. The committee said Ofsted's gradings should be clear and understood by all and that it should clarify that schools judged to be "satisfactory" were not failing. 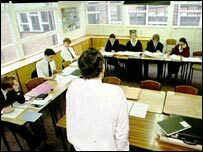 The Association of Teachers and Lecturers (ATL) said Ofsted was "ripe for overhaul". The ATL's Mary Bousted, said: "ATL shares the select committee's concern that light touch Ofsted inspections are not fit for purpose in some cases. "Ofsted is over-reliant on number crunching, using test data which are fundamentally unsound. "ATL wants regular monitoring and inspection of schools to be locally based, with Ofsted concerning itself with the bigger picture." Schools: to fail or not to fail?